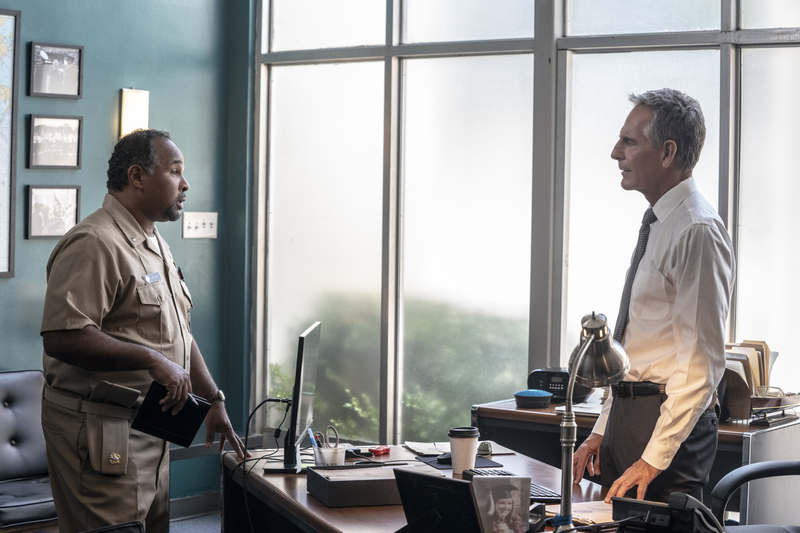 Geoffrey Owens, the Cosby Show actor who was praised online for not being too proud to take a job at Trader Joe’s to make ends meet, is a guest star on a new episode of NCIS: New Orleans titled “Pound of Flesh” which airs tonight on CBS. After Pride’s assistant, Ginny Young (Christina Smith), escapes from a kidnapper, the NCIS team uncovers evidence of a suspect who is harvesting organs from multiple victims. Also, Pride turns to his friend, Commander Calvin Atkins, M.D. (Geoffrey Owens), for medical and spiritual guidance as he struggles with the ramifications of his recent brush with death, on NCIS: NEW ORLEANS, Tuesday, Oct. 30 (10:00-11:00 PM, ET/PT) on the CBS Television Network. “Pound of Flesh” guest stars include Danny Burstein (Dr. Vincent Welles), Geoffrey Owens (Commander Calvin Atkins, MD), Joe Carroll (Dr. Brent Stokely), Karen Obilom (Zaire Dupre), Rebecca Haden (Dr. Susan Francis), Christina Smith (Ginny Young), Joaquin Montes (Ignacio Marquez), Nicholas Bordelon (Daniel York), Samantha Smith (Nurse), and Taneka Johnson (Receptionist).